For sale duplex penthouse totally outside and corner of 459 m2 built including common elements and 200 m2 of terraces and balconies, with garage and storage room, in El Viso between the Santiago Bernabéu stadium and the Pº de la Habana. 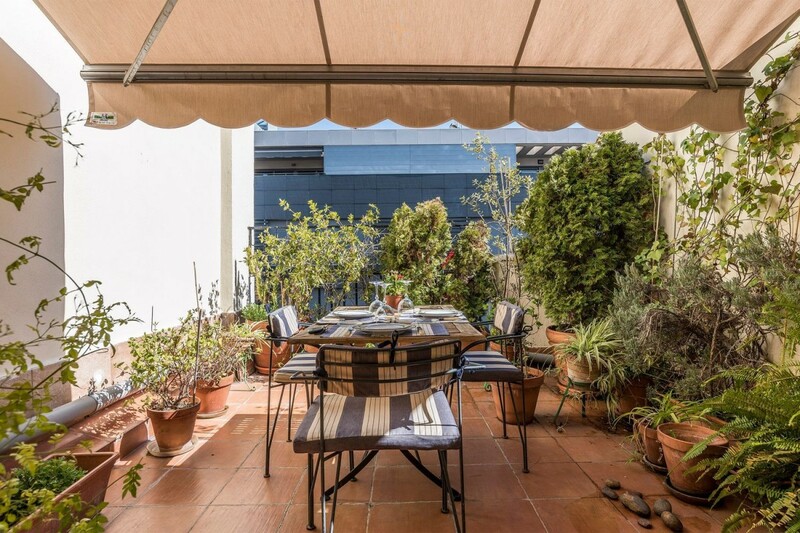 The property has 2 floors, 6 terraces and a solarium of 125 m2. Orientation: South-East. It´s like a chalet but in height. The main floor is distributed in hall, living room, living room, bedroom suite, kitchen with office and laundry area, service area (bedroom and ironing room) and bathroom. It has a terrace of 30m2 and 2 more terraces in living room and shared in bedroom and living area. The second floor is distributed in hall distributor, kitchen, 3 bedrooms, two office areas, 2 bathrooms and three terraces. In addition, access to the private solarium of the property with water intake and breathtaking views. The ground floor of the building has a common area where children can play. Building with 2 neighbors per floor, doorman with housing in the same building, central heating and water. Storeroom in the same building and garage in the immediate vicinity: Pº de la Habana, with option to a second place. The apartment has requested a place for residents (PAR), in an adjoining garage with the possibility of subrogation by the new owners. Floor segregable and in good condition with some recent improvements such as double glazed windows (planitherm and aislaglas), electrical panel, second floor kitchen, air conditioning or water sanding of original wooden floors. Two elevators. Perfectly communicated 5 minutes walk from the metro station of Santiago Bernabéu, 10 minutes walk from the subway station and Cercanías Nuevos Ministerios and 13 minutes walk from the metro Concha Espina. Buses: 14, 27, 40, 43, 120, 126, 147, 150, N22 and N24. 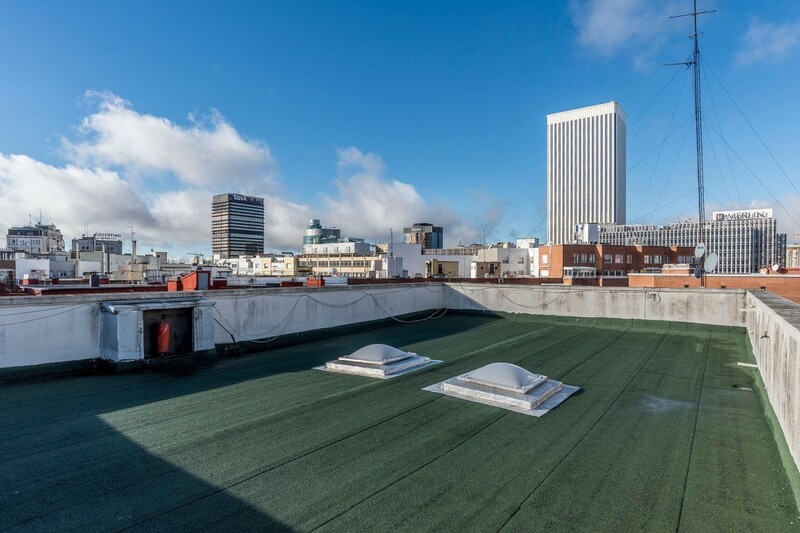 Surrounded by all kinds of shops and very close to El Corte Inglés bigger and more bill in the capital, next to the shopping center corner Bernabéu with supermarket, embassies and consulates of different countries and an important financial area. It has restaurants, cafeterias, bars, banks, schools: Lasalle Maravillas, San Patricio and San Ramón and San Antonio, San Rafael and San Francisco de Asís Hospital, gas stations, green areas such as the Berlin Park, gyms, Pradillo Municipal Sports Center Deportivo El Triángulo de Oro and great leisure and fashion offer: Moda Shopping Mall and Canoe.